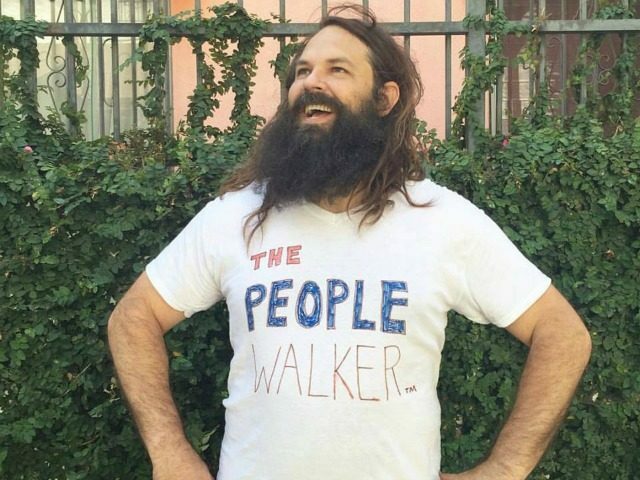 A Los Angeles man has come up with a new and inventive way of making money: people walking. Chuck McCarthy charges $7 a mile to walk with a client, talk, and listen. “I’ve been doing walks almost every single day for the past week and I’m getting repeat clients, which is what you want,” said McCarthy. Need motivation to walk? Scared to walk alone at night? Don’t like walking alone at all? Don’t want people to see you walking alone and just assume you have no friends? Don’t like listening to music or podcasts but can’t walk alone in silence, forced to face thoughts of the unknown future, or your own insignificance in the ever expanding universe? McCarthy’s people walking business has taken off, with five other people walkers now working across Los Angeles, similar services taking off in Israel and Britain, and people from across America requesting McCarthy’s services. McCarthy’s fans on his Facebook page have even been suggesting ways to improve his business. McCarthy is considering turning his people walking business into an Uber-style service, allowing users to request a walker via an app and rate them on their performance during the walk. This would allow McCarthy to expand his business even further.